Grizzly H7699 - Magnifier Set, 2 pc. The only thing better than one magnifying glass is two! 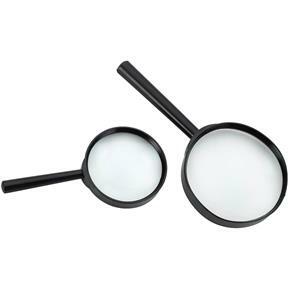 This set includes a powerful 4" magnifier with a wide field of view and a smaller 3" magnifier for close examination. Glass lenses resist scratching. Ideal for crafts and hobbies.